Rione Monti is Rome’s first ward. The neighborhood is live and young, however it maintains its old and vintage atmosphere. The favorite spot for those who want a serving of cobblestone, antiques and artisans, with a side order of beauty, great food and the best bars in Rome. Centrally located between Piazza Venezia and the Colosseum, this is the place to stay in surrounded by vintage stores, paging through old books, grabbing coffee in Rome’s chicest cafes, chatting over aperitivo, and people watching at the fountain in Piazza della Madonna dei Monti. 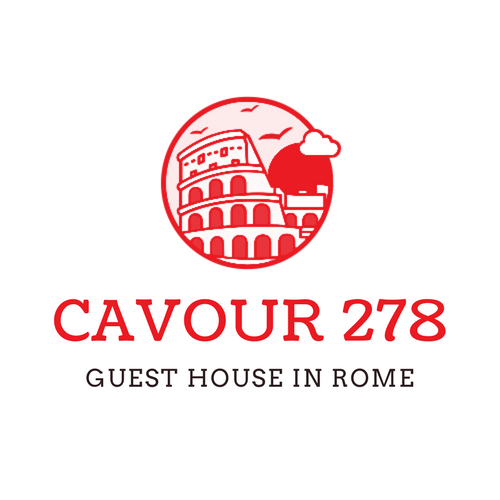 Guest House Cavour 278 is the perfect place for who wants to discover the beauty of the city while staying in the heart of Imperial Rome. We are located on 278 via Cavour in the Monti district, just 200 meters from the Colosseum. Our Guest House has four gorgeous fully equipped rooms, each one of them with its own private bathroom. It’s spacious, bright and has a cozy living room where you can relax, the perfect place to spend some quality time in the eternal city. Breakfast is included and we are very lucky to be located in the heart of food culture as we are surrounded by fantastic cafe’s, bistros and restaurants. So, be sure, you will never be starving around here! We are a friendly family business and we want you to feel at home at our guest house. That’s why we will help you discover all the treasures of the area, the Colosseum and Monti district. After years of experience in accommodation, living our-selves in this wonderful neighborhood, we started this family project in 2017 with enthusiasm, taste and creativity. We will take care of everything you need and make sure your stay is enjoyable and relaxing.